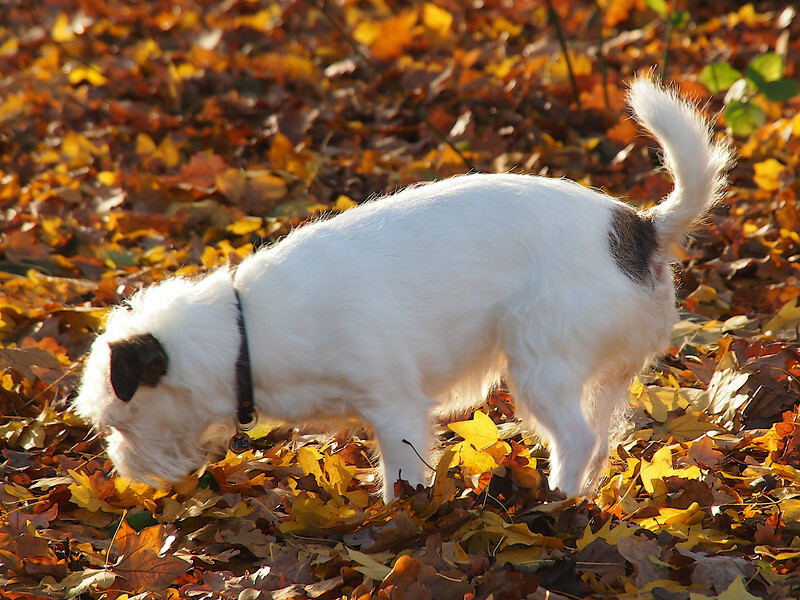 Have to visit your adorable little dog Mickey...the colorful splash of fallen leaves is perfect to showcase the little guy...love the back light on his tail! Great exposure. Despite the strong light you've maintained the details in the white body so well!